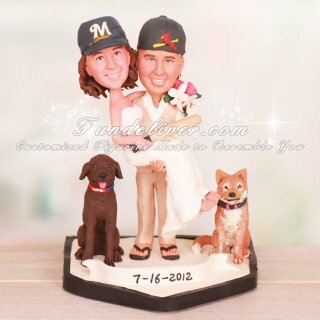 This is a completely customized Milwaukee Brewers and St. Louis Cardinals wedding cake topper ordered by one of our customers. The groom is a STL Cardinals fan and the bride is a Brewers fan. They would like the groom to be holding the bride, standing on home plate base with a banner in front saying 7-17-2012 (their wedding date). 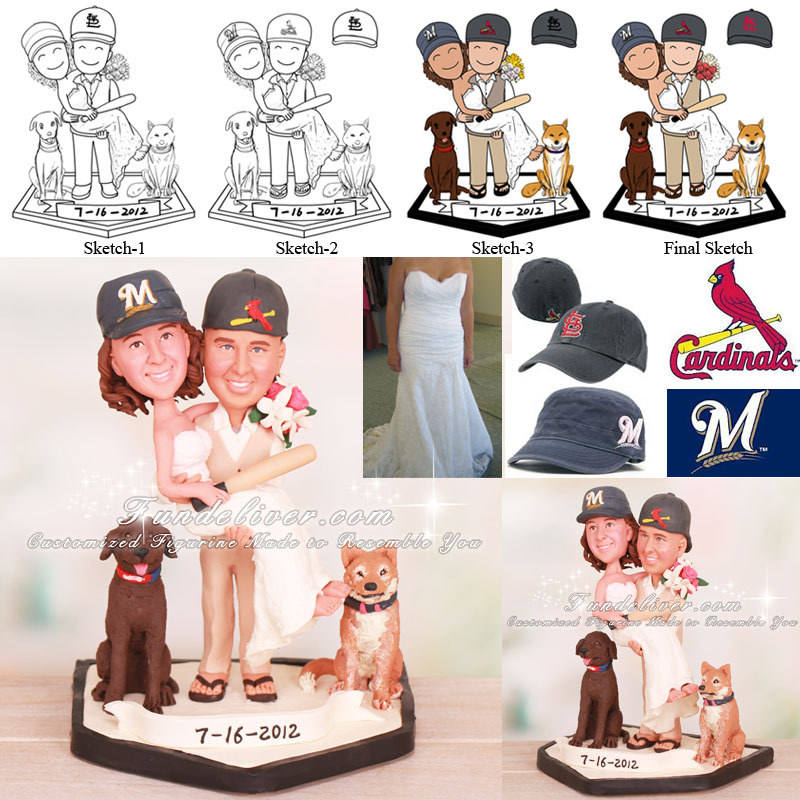 The groom is wearing khaki linen pants, white dress shirt, linen vest and Cardinals baseball hat and the bride is wearing wedding dress, no shoes, and Milwaukee Brewers hat. Also they would like to add their two dogs sitting next to them, with Chocolate lab in Cardinals collar and Shiba Inu in Brewers collar.